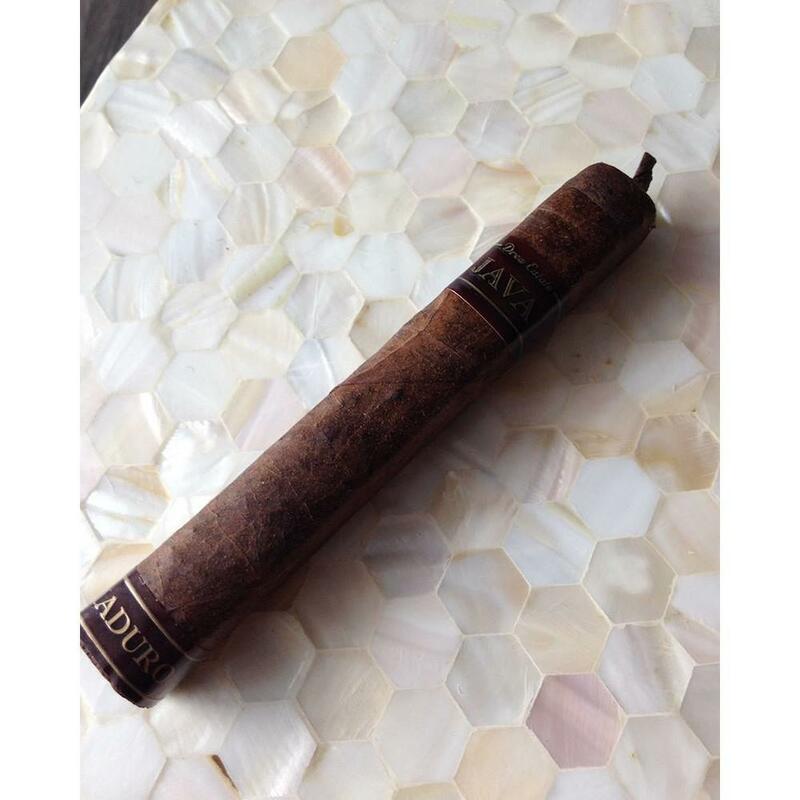 Hands down the best coffee-infused cigar available on the market today. The finest tobaccos from Nicaragua are enhanced with the flavor of mocha, coffee & a hint of vanilla. The Java Maduro is wrapped in a hearty Brazilian wrapper. The perfect companion to a rich cup of joe. Is this a Rocky Patel or a Drew Estate cigar? Well, both. Java is a joint venture between Jonathan Drew, of Drew Estate and ACID brands, and Rocky Patel. However, Java is actually made by Drew Estate and distributed by Rocky Patel. The industry’s top cigar makers have collaborated on a coffee infused cigar blend that even non-flavored smokers will flip over! Fans of both brands will be deeply satisfied. Java is a mild to medium-bodied box-pressed cigar blend with rich Nicaraguan long filler and binder. It also sports a shimmering dark chocolate Maduro Brazilian wrapper. The best tobaccos from Nicaragua are infused with the flavors of cocoa, espresso, spice & a hint of vanilla. That sweet cocoa keeps it creamy to the finish. This is the ultimate go to cigar with your morning coffee or as an after dessert enjoyment. Coffee loves you, morning, noon, and night. But sometimes that caffeine rush is not what you’re looking for. La Colombe Monte Carlo is the decaf brew to wind you down. The decadent blend will give you a gentle lift to finish your evening cigar. If coffee is not your thing, the founders of La Colombe offer a little moonshine for your enjoyment. Tips from the coffee farmers, the Philly duo have set up a micro-distillery in their Fishtown café and are producing Different Drum, a coffee-infused craft sipping rum.